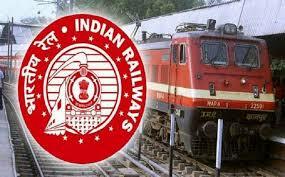 Railway Corporation Recruitment 2017 | Accounts Officer/ Engineer Post | Salary 29100-62000/-: Railway Corporation Limited (KRCL) has published Recruitment notification for the post of Accounts Officer, Engineer post. More information please read below mention officially notifications carefully. 5. Dy Chief Engineer/USBRL/J&K – 03 posts. Education qualification : Bachelors Degree in Civil Engineering, LLB/LLM, CA/ICWAI/MBA(Finance) or its equivalent qualification from a recognized Board/University. Application Fee :- All Candidates have to pay Application Fee is Rs 500/-. How To Apply :- Apply online application through official website http://www.konkanrailway.com . After successfully submitting the application, candidate must send hard copy of application along with relevant testimonials to the following Address before or on 09-10-2017. 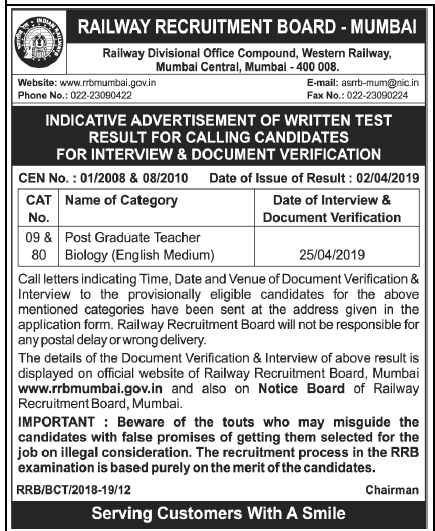 Address : Senior Recruitment Officer, Konkan Railway Corporation Ltd, Plot No.6, Belapur Bhavan, Sec-11, CBD Belapur, Navi Mumbai-400614. Late Date to application : 09-10-2017.